Barbie Fashionistas Terrific Teal Tall Doll New! IN STOCK NOW! 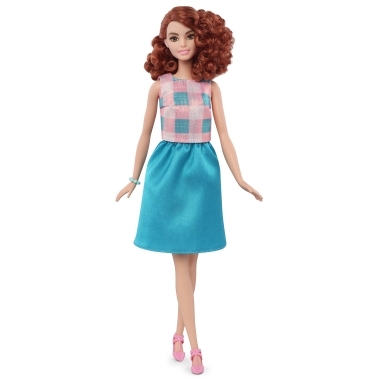 Barbie Fashionistas doll wears a white and gray striped top with lace detail and a shiny red skirt.